Gap Slider is a full responsive WordPress plugin that allows you to create an high quality slider with images or your WP Posts where the items are twisting and slicing to open the next slide. 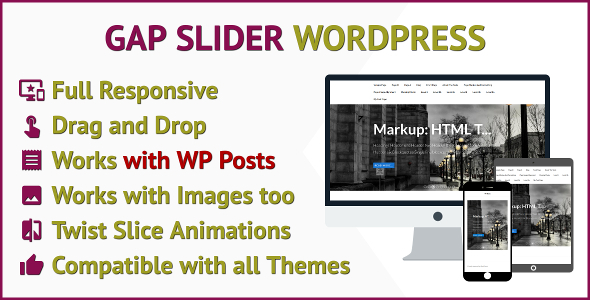 No programming knowledge required – Just drag and drop your images or WP Posts into your Slider. It is compatible with any active WordPress Theme.